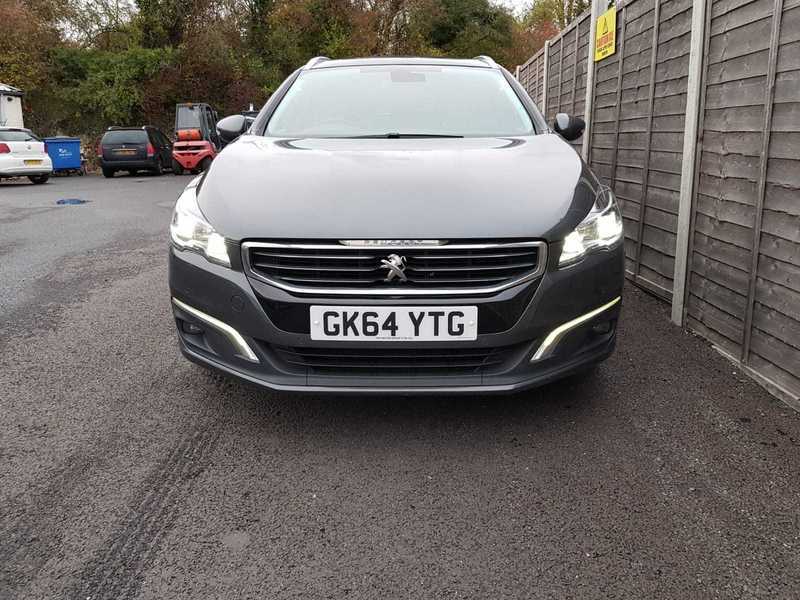 Peugeot 508 ALLURE SW E-HDI Estate, 2014 64 reg, 2 owners with Full Service History, (Half) Leather, 2 Keys +, 6 Speed Gearbox, ABS, Air conditioning, Alarm, Alloy wheels, CD player, Central locking, Climate control, Electric Folding Mirrors, Electric seats, Electric windows, Heated seats, Metallic paint, Panoramic roof, Parking Sensors (front), Parking Sensors (rear), Power steering, Privacy glass, Rain sensing wipers, Sat Nav, LED headlights, Blind spot recognition, cheap Road Tax and great economy! We have checked the car and given it a service so its ready to go. Great condition inside and out and drives very well. Comes with a 6 months AA warranty which can be upgraded/extended.